They’re not likely to be advertising their financial figures of course, so to help you out, here’s some idea of the typical profit margins we’d expect to see from creative agencies. Like any business, the first few years of trading as a creative agency are unlikely to yield huge profits - you’re still investing in infrastructure, and may yet have reeled in your first ‘big fish’ of a client. 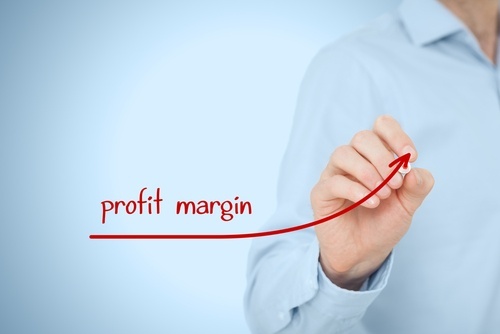 If you’re still in the relatively early stages of your business, a profit margin of between 9% and 14% is the norm. The 15% to 20% profit margin category is where the majority of creative agencies sit, so if you’re achieving those kind of figures, you can be content that you’re keeping up with the Joneses. Streamline your business though, and you can push through the 20% barrier to leave your rivals standing. If you’re making between 20% and 30% profit, your agency is in a really healthy position. Indeed, you can consider yourself a ‘top agency’ - and only the global, household name agencies are likely to be faring significantly better. In a recent comparison chart we saw, only three PR agencies (Frank, Hotwire and Freuds) were topping the 30% mark. If you’re serious about getting your profit margins into the ‘elite’ bracket, here are some other ballpark figures you might want to aspire to. £75K billed per year, per person on average across the whole business. Whatever your exact targets, these are great KPIs for any agency to set. You can find out more about financial measures for creative agencies here, or feel free to give us a call to see how our expertise in the creative sector can help you and your business.